The summer blooms have disappeared, and fall leaves are on beautiful display. Just like you prepared your garden in the spring, it’s now time to get it ready for next year’s growing season. We have outlined a few points to help you save time and maximize your investment. After growing and spreading out during spring and summer, fall is the right time to assess the growth of your perennials and divide them properly. You could use the trimmed portions of plants for new growth in various areas. Plants such as Shasta daisies, black-eyed-Susans, irises, and daylilies tend to get very big. You can dig them up, cut them, and plant one half again in the same place and the remaining portion in a new area. Plants and shrubs may sometimes grow so well that they can make your garden feel overcrowded. Fall is the ideal time to move these plants to a newly landscaped area and create a spacious, beautiful garden. Spirea, rhododendrons, boxwood and azaleas are a few examples of shrubs that you can move easily during the fall when temperatures start to cool, and the rains return. Remember that, just like new plants, divisions and transplants require extra watering. 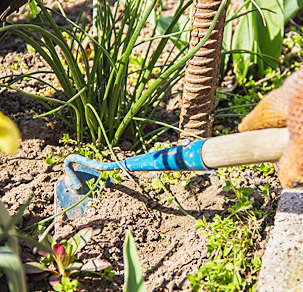 Similar to your spring clean-up routine, take time to make a schedule comprising of essential activities such as raking leaves, cutting down perennials, and edging your beds. It will help you get your lawn and garden set for spring. You may also choose to mulch it for better control over potential weeds. Weeds go to seed in the fall and then get spread by wind and birds. They then lie dormant over the winter. This is why you may find a new crop of weeds in the springtime. It is crucial that you weed thoroughly in the fall and be sure to remove the roots. This will give you an opportunity to get mulch down early and result in less weeding in the spring. Dethatch your lawn and remove dead grass clippings by giving it a hard rake. Apply a light mixture of fertilizer and rich soil and rake in fresh grass seed. Water your lawn adequately to ensure germination and plant growth. 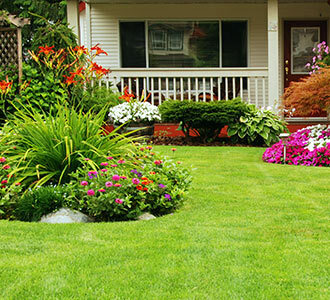 Taking care of your property with the landscape and lawn maintenance experts in Toronto can lead to beautiful results all year round. At Greenbloom, we have experts who have the knowledge and resources to carry out maintenance efficiently and effectively. Our team offers seasonal garden maintenance services, including fall clean up services, to help prepare your lawn and garden for winter. To learn more about our garden services, you can get in touch with our team at Greenbloom by calling 647-500-5263. You can also fill out our online form to submit a general inquiry.